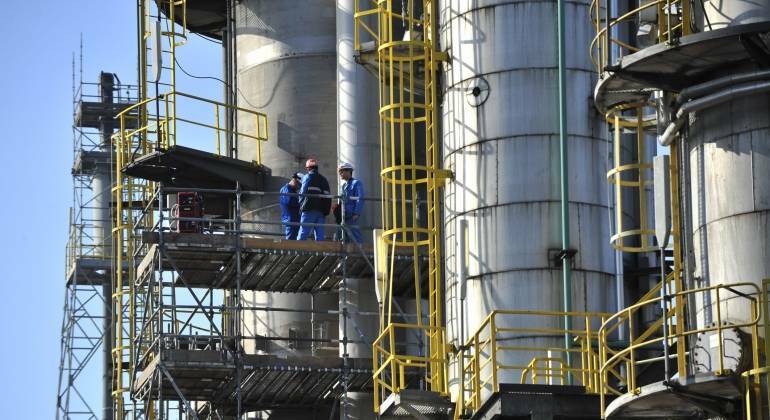 There is no better place to start your career than at Chemelot. You can fully utilize your qualities here and you can continue to invest in yourself through courses or part-time studies. But you also learn in practice, for example by actively participating in various projects. Working and learning go hand in hand and that will remain so throughout your career. Every year, the eyes of many talents open at Chemelot. You learn about the unique environment of industrial companies through internships and apprenticeships. From start-ups to multinationals; here you have every chance to discover what you think is best. There is also plenty of room for personal development. While working, you learn. Chemelot also must deal with aging population. In the coming years, many employees will retire. This means a continuous stream of new vacancies. In addition, many senior employees are working here. Seasoned professionals with decades of practical experience. From them, you can learn so much. Knowledge that you will not find in any book. The choice is yours: will you go in depth and become the best in your playing field? Or is your ambition ultimately more a management position? One thing is certain: at Chemelot you also develop yourself . The international environment, the different companies, all disciplines that join here, the social impact (safety for everything) of everything you do. You also grow here as a person. Wherever you end up, a job at Chemelot is always good on your CV. If you do well here, that says something about you. Such a strong-willed individual is welcome everywhere.